The Pelorus Sound and the Kenepuru – this is seriously authentic Sounds territory. The fishing is great and the people are real. It’s a no-fuss sort of place where tranquillity rules and surprises await discovery. Out towards Cook Strait lie the offshore islands – D’Urville, Stephens, the Chetwodes and many more – you’ll find yourself re-discovering these special places, voyage after voyage. When you’re done exploring, come and regroup at the cosy port village of Havelock. The town offers great hospitality and is known as the green lip mussel capital of the world. Havelock is 45 minutes’ drive from Picton, 30 minutes by road from Blenheim and one hour from Nelson. The marina has 340 berths for vessels from 10 to 30 metres, and has all the services you’d expect in a small, smart working port. If entering by boat, remember that the Havelock channel is more tidal than the entrance to other marinas, but it’s a very well surveyed and maintained channel with excellent navigation markers. 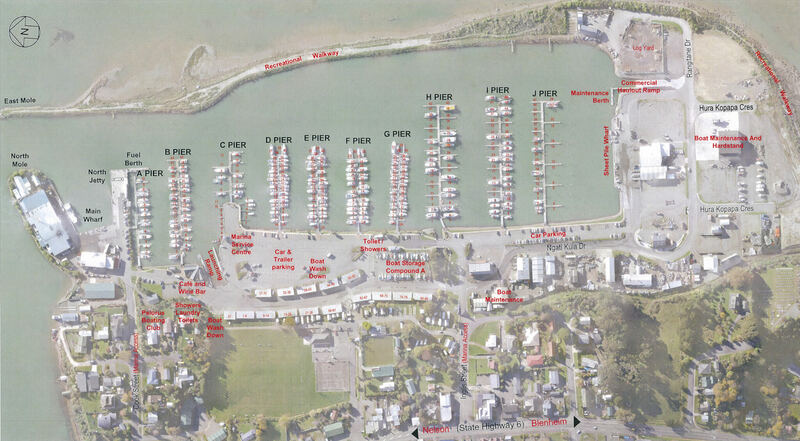 Contact our Marina Service staff for maps and further details, or view the channel map in the amenities section below.